Ambassador Robert A. Wood serves as the U.S. 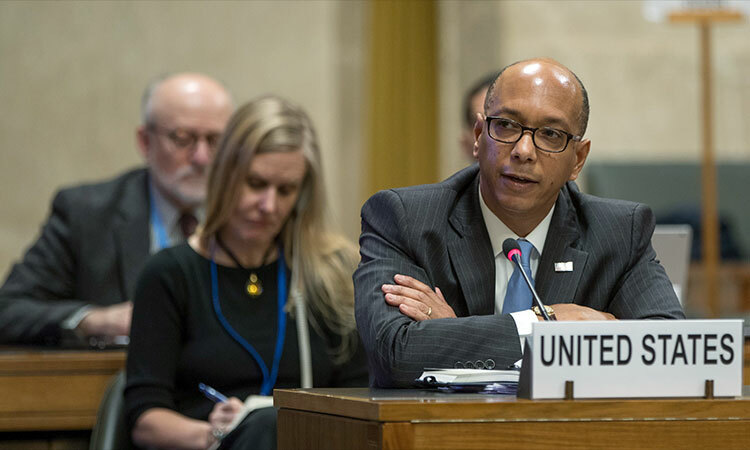 Permanent Representative to the Conference on Disarmament and as U.S. Special Representative for Biological and Toxin Weapons Convention (BWC) Issues. He was confirmed by the United States Senate on July 15, 2014. Ambassador Wood also serves as U.S. Commissioner for the New START Treaty’s Bilateral Consultative Commission (BCC). Ambassador Wood previously served as Deputy Chief of Mission at the U.S. Mission to the European Union from August 2013 to July 2014. Before his service in Brussels, Ambassador Wood was the Deputy U.S. Permanent Representative to the International Organizations in Vienna, Austria from 2010 to July 2013. From July 2008 to January 2010, he was the State Department’s Deputy Spokesman and Deputy Assistant Secretary for Public Affairs. During the first six months of the Obama Administration he served as Acting Assistant Secretary of State for Public Affairs and Acting State Department Spokesman. Ambassador Wood has been a Foreign Service Officer with the U.S. Department of State and the former U.S. Information Agency since 1988. From 2004 to 2008 he served as the Press Attaché at the U.S. Embassy in Berlin, Germany. Prior to his assignment to Berlin, he was Deputy Spokesman at the U.S. Mission to the United Nations in New York from 2001 to 2004. 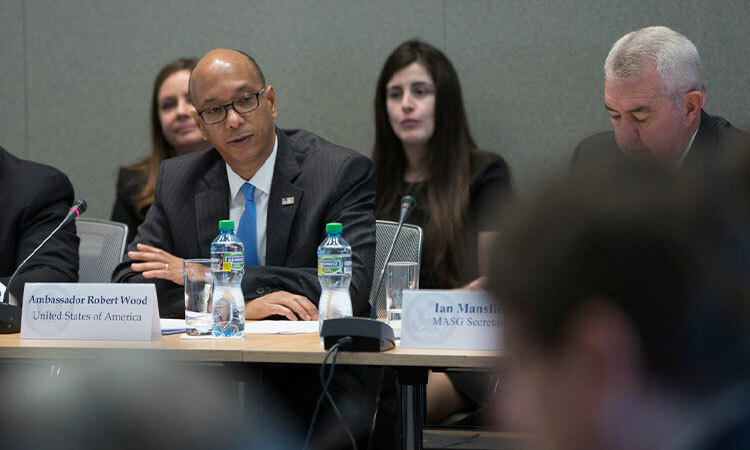 In Washington, Ambassador Wood has worked as a public affairs advisor for the Bureau of African Affairs, as a special assistant to the Undersecretary for Public Diplomacy and Public Affairs, and in positions dealing with the Balkans. Ambassador Wood has also served in public affairs positions in Mexico City, Mexico; Lagos, Nigeria; Islamabad, Pakistan; and Pretoria, South Africa. He speaks German, Spanish and French. He lives in Geneva with his wife and son.